You’ve been there, almost from the beginning, through thick and thicker, right up to thickest. Through driving rain and even snow. You went through more than one identity change for me. You went from being my primary source of entertainment transportation to my Winter Trainer and “Break Glass in Case of Rain” bike. Even though your little brother is faster, lighter and 14 years newer, you’re the bike that holds every time/distance record that I’ve got to date over 50 km and up to 100 mile times. Everything except the Tuesday Night Club Ride 30 miles. And after all of those inglorious miles, after all that grit and grime, after all of the wind, rain and muck, with a little TLC you keep coming back for more. For that I am grateful. So let’s once more, into the fray my friend. Though not as dramatic, at least it’ll be fun…. Proof that the 1X Drivetrain is an Abomination to Road Cycling that must be Abandoned Immediately. April 29, 2017 11:00 am / 6 Comments on Proof that the 1X Drivetrain is an Abomination to Road Cycling that must be Abandoned Immediately. F***ing abomination. I don’t even think that bike would track down the road straight without the left shifter fin*! Now, I’ll give you, those are technically cross bikes. Actually, you know what? Not even for a cross bike. Balanced, wonderful, and awesome. Beautiful. I would pick a bike with the double crankset every single time – no matter how light or efficient they claim the 1x Drive might be…. and we’re not even talking about road bikes. 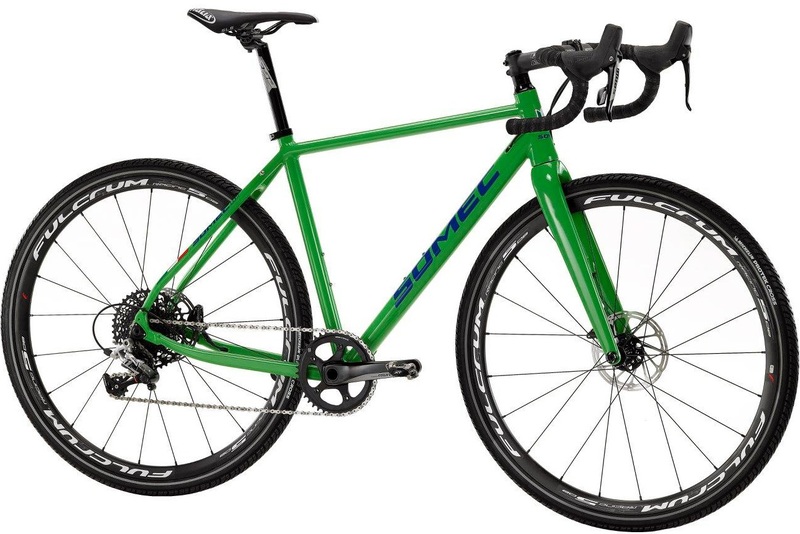 Road bikes don’t even enter the discussion because whatever that is on the Somec and Alchemy above, it looks ridiculous. I may need a safe space** after seeing that. *If you took seriously the notion that a bike may not track down the road correctly because it was missing the left shifter fin, this says more about you than me. The statement was tongue in cheek and meant to illicit a laugh at its outrageous nature. Apparently you missed it. **The same goes doubly for the reference to the need for a safe space. If you missed the joke, you’d better go find a safe space. The Root of almost Every Social Ill is Fear. What’s the Root of Fear? April 28, 2017 8:00 pm / 4 Comments on The Root of almost Every Social Ill is Fear. What’s the Root of Fear? The Root of almost Every Social Ill is Fear. The Root of Fear is Dishonesty. Period. End of story. Put a bow on it. Just a thought. My string of consecutive days on the bike will end (unless a miracle happens and we don’t get the scheduled thunderstorms with 20+ mph winds [ED. This was written yesterday]). 56 Days, 1,454 Miles (26 miles a day, roughly). Truth be told, I suppose I’m ready for a day off. 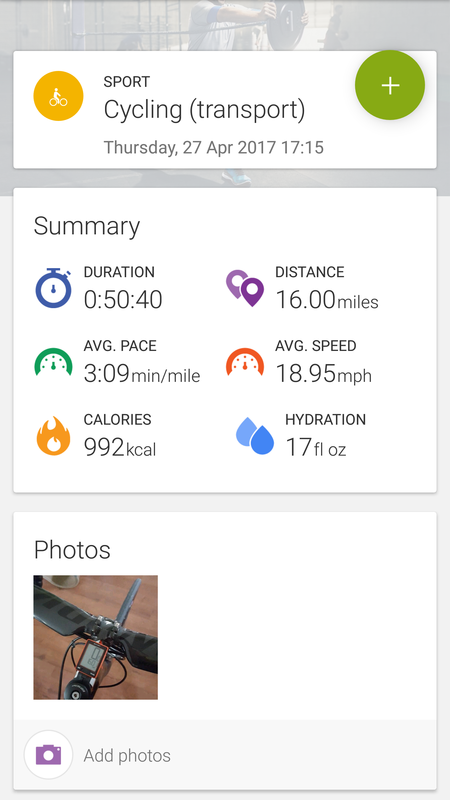 The first few weeks in March were short miles and duration because it was so cold and rainy. It was nasty. 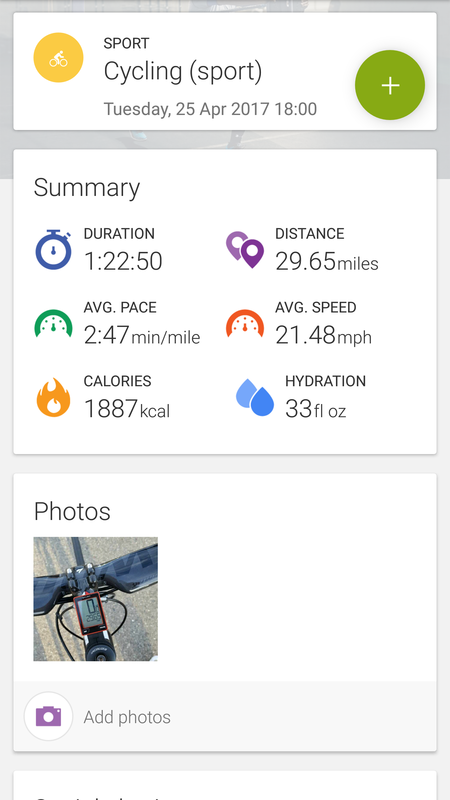 Starting in April, though, I’ve managed better than 200 mile weeks. I made up for March with April, that’s for sure. Last March I managed 776 miles. This March was 639. On the other hand, last April was 730 miles and I’ve already got 815 miles in for this April (with four days left in the month). This is my best April, in terms of fitness and mileage, yet. I am exhibiting zero signs of over-training. I am still having a blast every time I go out on the bike and I’m as fast and strong as I’ve ever been. The only thing that saves me is recovery rides, three of them, throughout the week. This is my second year of putting in long streaks of consecutive days and as long as I stick to my plan (easy rides Monday, Wednesday and Thursday or Friday), I have no problem riding every day. Lastly, I maintain a balance with life and cycling. Cycling definitely makes having a wonderful wife, two fantastic kids and a good job even better! I like to make sure to keep my priorities straight, let’s just say that. Cycling makes the good stuff better. I got, for the first time in 42 years, a poison ivy rash last weekend after cutting down a dead tree in the back yard on Sunday. On Monday it wasn’t a big deal. A few spots and a little itch. By Wednesday it was worse. Yesterday was an explosion of itch on my legs. It was unbearable. I was given a prescription for Prednisone. That’s right, baby! Wiggins and Froome couldn’t get away with that on a TUE! Steroids. I thew back the first dose the second I got home and as I did the clouds and rain that had been on and off all day, cleared up. Even the roads dried. I readied the good bike, got dressed and rolled. The streak continues! It’ll be over on Sunday though. 100% chance of showers and thunderstorms…. Unless we end up with a window, of course… Stranger things have happened. There should have been no way I was riding yesterday but I did. UPDATE: 39 more this morning. 58. *Disclosure: The duration is correct for the ride, the average is distorted because the last half-mile is used as a cool down. Our actual average for Tuesday night was between 20.8 and 20.9 mph. For the “B” Group. I use the time that we cross the finish line (City Limits Line) for historical reasons. It’s been a pretty tough week at work. I’m lucky if I get three or four hours of sleep a night. Not Tuesday night though. No, I made sure everything was taken care of before the club ride and ignored my phone until the ride was done. I was out (asleep) before 9:30 and didn’t wake up till the alarm went off at 4:30. Seven hours may not seem like much to normal folk but that’s an hour or two better than I’m used to getting on a good day. Tuesday night seven felt like twelve. No doubt though, a good bike ride fixes a lot of problems for me. The guys at GCN compiled the top ten bikes and top manufacturers of pro cycling for 2016 and Specialized topped the list of manufacturers. Scott, Cervelo, Pinarello and Giant did well, as you would assume but the Venge ViAS and the Tarmac were Sixth and First respectively. It makes sense as the ViAS is a very “stage specific” bike – it’s only used by sprinters and Peter Sagan on specific stages of races. The Tarmac, on the other hand (and also ridden by Sagan), is an exceptional all-around bike. It’s light, stiff, fast, and “kinda” aero. It should be fairly well known that we are a Specialized family with five Specialized bikes in the bike room. My Venge, my wife’s Alias, my youngest daughter’s Dolce, my eldest’s Secteur Elite and my Rockhopper Sport Disc 29’er. The Noob’s Guide to Tandem Cycling; Some of the What You Really want to Know. April 26, 2017 11:00 am / 3 Comments on The Noob’s Guide to Tandem Cycling; Some of the What You Really want to Know. I don’t make much of a kerfuffle about the tandem my wife and I bought last year but I have to tell you, I really love riding it. You’ll note the stoker’s seat post is awfully long contrasted with other tandems. We have the steep rake of the top tube that almost looks like a low-slung drag bike by the time it gets to the back end…. The bike is designed for a family, to allow for a stoker ranging from 4’2″ to 6’2″. Originally our bike started out as a Co-Motion PeriScope Scout, a flat bar “Hybrid” but I had the drivetrain upgraded to a 10 sp. road bike rig with a 105 rear derailleur, 105 shift levers, a drop handlebar and a custom 130 mm stem so the tandem could be made to match my Venge as closely as possible. I don’t have quite the drop, but it’s definitely close enough for government work. That said, it fits like a glove. The bike has it’s flaws, of course. This one is pretty heavy – it’s a steel frame. 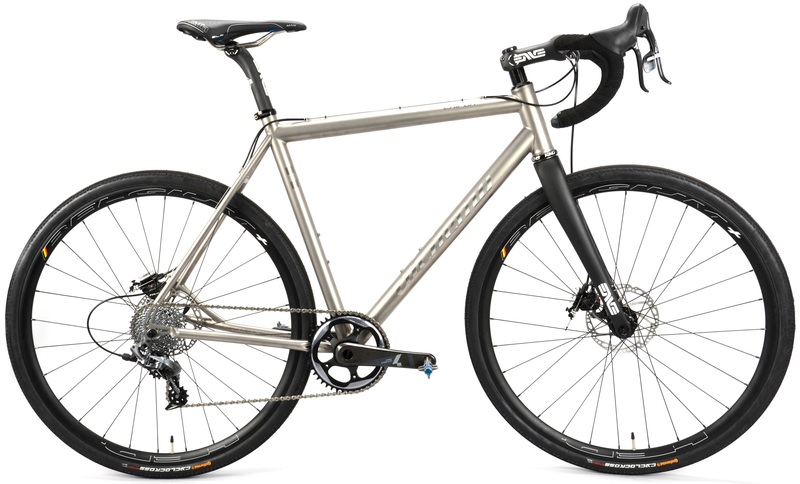 That, however, is the only major drawback (if you could call it one, most people love a steel frame – the ride, as one would assume, is astonishingly comfortable and forgiving). I also don’t care for the disc brake calipers, but that’s a minor issue. I suppose there is one more issue… The bike wasn’t cheap, especially for a steel bike. It topped out at almost $4,000. So I pulled the tandem out of the garage a week ago and got it ready for another season. I wish I’d done it last month as we have been on several rides that would have been fun to have ridden on the tandem… but we needed to build up the fitness for that bike. On a single bike, I can do 50 miles and be bummed that it’s over too soon. On the tandem, 30 miles and I can feel it all over the next day. Arms, legs… The tandem is a workout. That said, if one has a solid relationship or marriage, I can’t recommend a tandem highly enough…. After you’ve gotten through the working together phase of the bike – and it’s a pretty steep learning curve. That part isn’t much fun and it certainly isn’t easy. However, and this is the important part, if we use the tandem for what it is good for, my wife and I (or daughters and I) going out for a nice, fun ride around the block (if the block is 16 to 50 miles around – it’s a big block) with my favorite person in the whole world, there’s nothing out there that’ll beat a tandem. They are an absolute blast to ride. To put a bow on this post, a lot of cyclists will think that having your significant other that close to your ear is a bad thing. I am one of those lucky few who feels like he hit the lotto when he got his wife to say “Yes”. We work our butts off to be happy – we work at our marriage, together. We put that same effort into riding the tandem. If we didn’t, it’d be fisticuffs.